Doris Lessing, one of the best writers of the 20th century, was a bold, brilliant chronicler of women’s lives. Many years ago, when I first read The Golden Notebook and The Four-Gated City, the fifth in her Children of Violence series, I felt, absurdly, that she was writing my life. 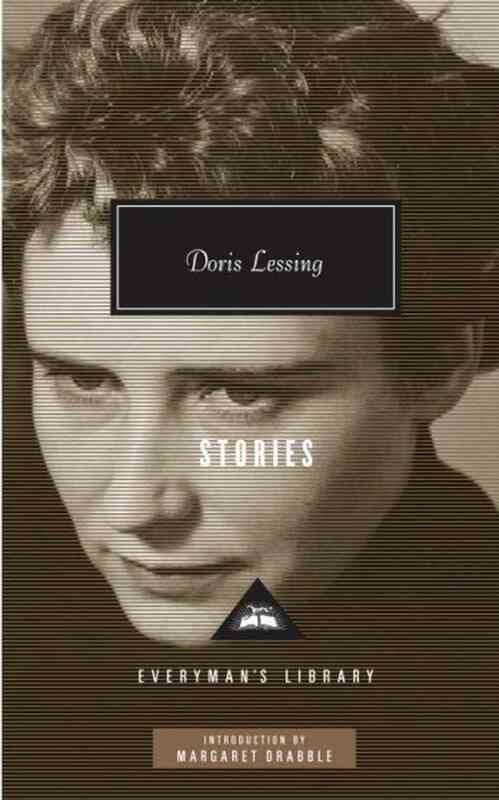 Last fall l read half of Doris Lessing’s Stories, a 655-page collection of short stories with an introduction by Margaret Drabble. Although I prefer the later stories, I also admire an early story, “The Other Woman,” about a working-class woman, Rose, who works first in a bakery, then in a munitions factory during World War II. Her pleasure in her work, and her obsessive care of the basement apartment she shares with her father are more important to her than her relationships with men. Then the house is bombed, and she becomes involved with a married man. But there is a twist. Lessing’s later stories are more eclectic, and many are perfectly-crafted, Some of the stories in the latter half of the book anticipate such science fiction novels as Memoirs of a Survivor, the Shikasta series, and Mara and Dann. In “Two Potters,” the narrator knows a potter, Mary Tawnish, who never dreams. The narrator begins to dream about another potter in a village on a great plain of reddish earth “that looked as if it were hastily moulded by a great hand out of wet clay, allowed to dry, and left there.” After she writes a letter to Mary about her dream, an interactive relationship between the dreams and Mary’s work develops. In each successive dream, the narrator sees the settlement and the potter’s work develop and change. Finally, Mary makes a clay animal for the potter in the dream world. In “Report on the Threatened City,” a group of intelligent aliens observe that a city on an Earth-like planet is “due for destruction.” They visit the planet to warn the people, and make the horrifying discovery that they already know, and have known for years of the impending disaster, but have done nothing, and will do nothing, about it. Stating the problem is enough for them. One of the most famous stories, “To Room Nineteen,” is the story of a suicide. It begins: “This is a story, I suppose, about a failure in intelligence: the Rawlingses’ marriage was grounded in intelligence.” Matthew Rawlings works; Susan stays home and raises the children. Over the years, she loses herself; when her children are all in school, she does not go back to work as an illustrator for an advertising firm. Instead, she rents a hotel room, Room Nineteen, under the name of Mrs. Jones. What did she do in the room? Why, nothing at all. From the chair, when it had rested her, she went to the window, stretching her arms, smiling, treasuring her anonymity, to look out. She was no longer Susan Rawlings, mother of four, wife of Matthew, employer of Mrs. Parkes and of Sophie Traub, with these and those relations with friends, schoolteachers, tradesmen. She no longer was mistress of the big white house and garden, owning clothes suitable for this and that activity or occasion. She was Mrs. Jones, and she was alone, and she had no past and no future. In “An Old Woman and Her Cat,” Hetty, a widow with four adult children who ignore her in her middle age, grows to love a cat more than any human being. She deals in second-hand clothes, which she buys from householders and sells to owners of shops and stalls. Her beloved cat is her best friend. In old age she moves to a room in a house. When it is scheduled for demolition, she and the cat begin to live in abandoned houses. Finally she becomes desperately ill. This is a terrifying story of something that could happen to any of us. This is a fascinating collection of short stories, and it is always a pleasure to read Lessing. This entry was tagged Doris Lessing Stories. Bookmark the permalink. I enjoyed reading this very much, both for your tone intermingling with Lessing’s (well-described by you) and the details of the stories. I know I ought to read more short stories. I tend to want the longer book because I want to become immersed, but a collection by the same author can provide the same depth, just I suppose as a collection of a type of story (especially gothic ghost stories for me) can do the same. I’m glad when you put the comments back on. I, for one, miss your blogs when I am not notified of them and enjoy replying. I do look forward to ones like these; they help me get through my day if only by bringing in other presences in the author, book and a hope I might read the book too. Ellen, I prefer the novels, too, but the short stories are very good, and oddly I read the last half of the collection much faster than the first half. Perhaps the later stories are better? I’m glad to have comments to look forward to again! Kathy, I read An Old Woman and her Cat last night and was much moved. I half-believe the very best book Lessing ever wrote was “On Cats” and this story is as much about the cat as survivor, finally done in by an inhumane society. It’s a kind of Memoirs of a Survivor with the cat as protagonist. I’ve had the same volume of Lessing’s Short Stories for donkey’s years and am going to read the others you’ve singled out now. Ellen, that is the most moving story, isn’t it? She really makes Hetty believable, and as for the cat…well! I have not read On Cats, but I have a copy of that. I”ll have to read it.